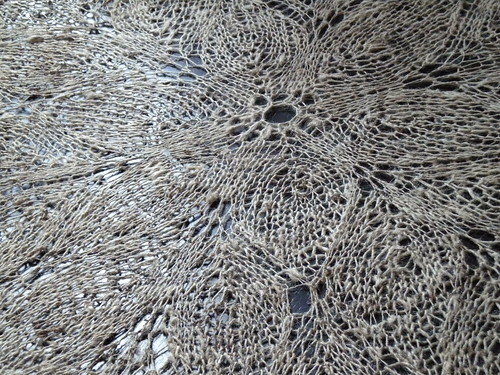 Azalea pattern from First Book of Modern Lace Knitting. 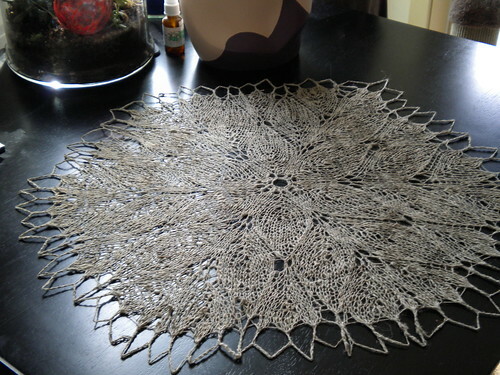 One skein of Aloo, which is great for the stiff/crisp texture I was going for. I swear the crochet edge is more even looking in real life! It’s about 2 feet across, for the bar height table in my living room.